Just turn on your computer, tv or open a newspaper today and you will see natural disasters all over the world. There doesn’t appear to be anywhere safe from them. Not only are they increasing, but the strength of them appears to be increasing too. We are experiencing the early birth pangs Jesus warned us about. As with real birth pangs they start off slowly and gradually increase in both frequency and strength. We can expect the same with natural disasters. We have all seen the headlines with rumors of wars possibly including North Korea, Russia and not to mention all the countries that are currently battling. The last year alone has brought us into a political environment that increases the chance of war. Sin, well sin can be found everywhere we look, including in the mirror. The majority of the world has not found or outwardly rejected Christ as Lord and Saviour. Without Him life is pretty dark and that is exactly what we are seeing everywhere we look. The world is not a warm, welcoming place without Christ. So with all this going on around us should we be discouraged? Should we be down trodden and depressed? NO! A resounding NO! Through Christ we have every good thing! We have more than we need! We have a truth that cannot be shaken! We have a friend in these times of trouble that is closer than a brother! We have a Savior and friend that will NEVER leave us or forsake us! We have the good news that we can share with those who have yet to hear or have not listened up till now! More and more people are getting discouraged with this ole world of ours and are looking for something concrete to hold onto. Well there is nothing more concrete than the love of Jesus Christ and His ability to save people from their sins and sustain those people through any situation or circumstance. 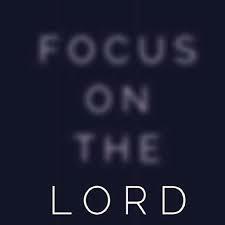 Instead of looking at the doom and gloom surrounding you today. Ask God to give you a heart for the lost and broken. Ask Him to put people in your path today that you can love on tangibly and share the gospel with. He will do it! He has called us to do this very thing. Let others know why you don’t walk in fear but by faith. Be encouraged that God has called you and brought you to a time such as this for that very purpose! This past weekend we lost a dear friend. She had recently been battling cancer and lost her fight. In our minds and hearts we lost her way too soon. She was still young! We didn’t expect to lose her this soon! This morning I was reminded that there are no guarantees when it comes to our life span. We cannot possibly predict what the future may hold for any one of us. I was hit in the face with this fact almost ten years ago when we lost our twenty year old son Daniel in a car accident. I was reminded of it again this weekend. There is no certainty, no guarantees and no assurance that we will have another day, another week, another month etc. As much as we like to feel we have control over so much of our life, this is one area none of us can control completely. We can take care of ourselves and try and stay fit but even that does not guarantee longevity. So what does this mean? Should we live our lives in fear or discouragement knowing just how frail life can be? Should we worry incessantly about what could happen? The answer to all three questions is a resounding NO! We are to live each day as if it were our last, abiding in Christ and serving as we have been called. NO fear, NO terror, NO worry, just living out our lives with purpose each day as we walk close to the ONE who gives us purpose. Each day is a gift God gives us to walk close to Him and share the gospel with a dying world. As long as we are staying close to Him through our prayer life and increasing our faith through the reading of the Word, we will hear Him speaking to our hearts and leading us. That is how we are to live each day. Not worrying about tomorrow or what it may bring. Simply living each day with His purposes in our heart! When we need wisdom to do so we simply ask for it. He promises to give it to us liberally! When we stumble, we need to repent and get right back on track. Moving forward in the course He has set before us. None of us knows what the future holds. We do know that we have been given this day! This day to walk close to the ONE who saved us and called us. Let’s remember to seek His face today and fulfill the purposes He has for us! Not worrying about tomorrow, next week, or any time in the future! Lord, forgive us for our arrogance in thinking we have all the time in the world to fulfill Your purposes. Remind us each day that we need to live close to You, seeking Your face and purposes for our life. 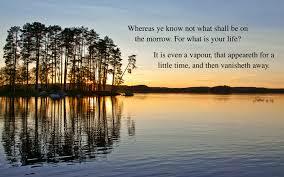 Knowing that life is but a vapor! We may not have tomorrow but we have today! We ask this in the name of Jesus, Amen. 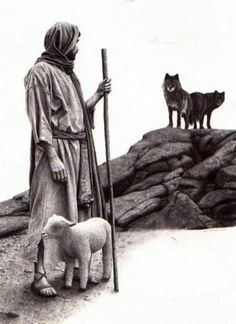 Stay close to the Shepherd! This world has become a dark place for many. Daily we hear reports of indescribable suffering and torture that many are enduring. Some for their faith, some for their ethnicity and some for no reason other than the hatred inside their tormentors. Wolves are appearing on many horizons. As followers of Christ, we need not be afraid. We do not follow a hireling who will flee when he sees the sheep in trouble. We follow the GOOD SHEPHERD who will never leave us or abandon us! He will see us through any situation or circumstance we are faced with. Not only that, He will equip us to deal with it in a manner that will glorify Him! As the wolves move in closer we have the power and authority to pray! When our GOOD SHEPHERD willingly laid down His life for us He made it possible for us to have the audacity to come boldly before the throne with our cries and requests! Jesus Christ willingly suffered and died to restore mankind to a rightful relationship with the Father. He willingly sacrificed His life for us His sheep! As His sheep we have the assurance that our shepherd will see us through ANY situation, despite how bleak it may appear! David beautifully illustrates just how much we can put our trust and faith in the GOOD SHEPHERD in Psalm 23. Despite how bleak things may look we can trust in the goodness and mercy of our Lord. We are not to fear. We are not to flee. Instead we are to allow his rod and staff to comfort us. The rod being a tool used to protect us, a weapon when needed to guard the sheep. The staff a tool used to hold us still when necessary or to gently guide us back on the right path when we stray. Our SHEPHERD is bigger than anything we may face. Even if and when we walk through the valley of the shadow of death we do not need to be afraid! We can be assured that He will see us through to the other side. Even in death we are victors in Christ! As long as we remain close to the Shepherd we need not fear any situation! Lord, please remind us that there is nothing that can separate us from You. No circumstance, no man, no terror, absolutely nothing can separate us from our GOOD SHEPHERD. Keep our hearts tender before You. Give us a burden of prayer for our brothers and sisters who are currently walking in the valley of the shadow of death. Help us to daily intercede on their behalf. When we are tempted to walk in fear, remind us that we follow and serve the King of Kings and Lord of Lords,who is our Good Shepherd and just as a shepherd will not abandon his sheep, You will never abandon us! Thank you Lord, in Your Precious name! Amen.